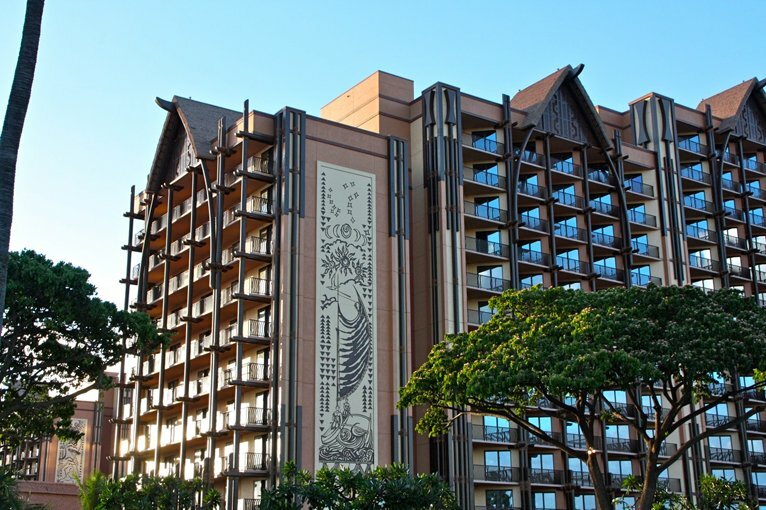 Aulani is really two resorts under one roof—a deluxe hotel and a Disney Vacation Club (DVC) villa resort. They share the same lobby, resort grounds, water recreation, and restaurants. 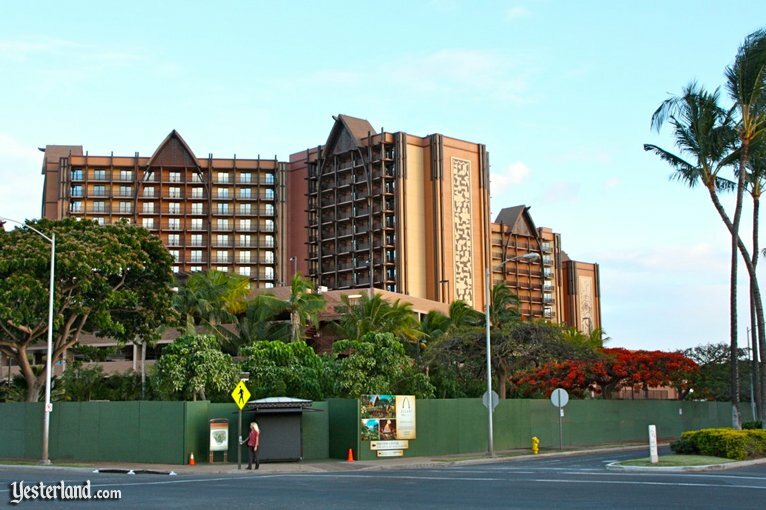 The deluxe hotel part is called Aulani, a Disney Resort & Spa, Ko Olina, Hawai‘i. 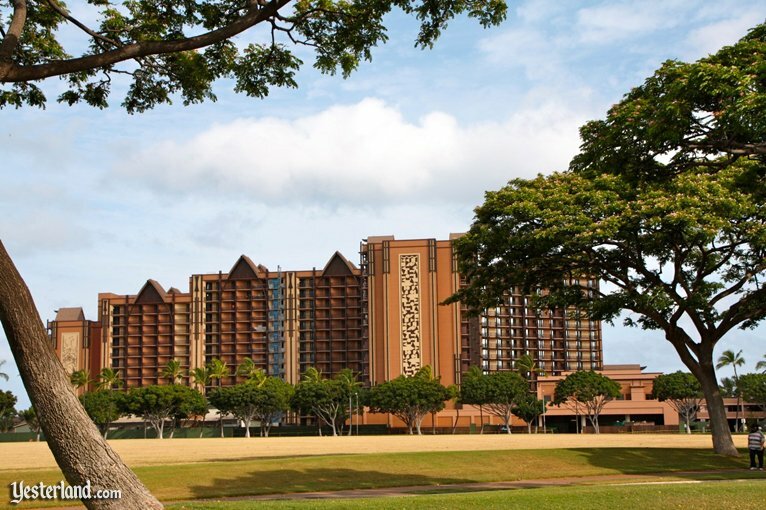 The DVC part is called Aulani, Disney Vacation Club Villas, Ko Olina, Hawai‘i. If a picture is worth a thousand words, I have 15 thousand words for you today. These new photos are from just a few days ago. The opening, which seemed so far way at the time of the resort’s ground breaking and blessing on November 20, 2008, is now just two months and one day away—August 29, 2011. Have you bought your airline tickets? A green construction wall still surrounds the site, making it difficult to see the ground level. The only visible Aulani signage is still just a sign on the construction wall pointing to the Preview Center diagonally across the street. The parking entrances await the arrival of guests rental cars. 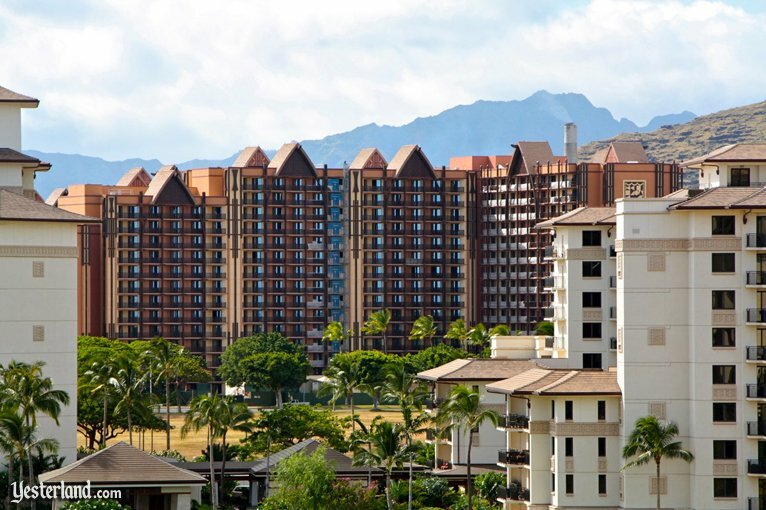 Although it would be possible to enjoy Aulani and the rest of the Ko Olina Resort & Marina without a car, most guests will want a rental car not only to see some of the other attractions of O‘ahu, but also to get to and from Honolulu International Airport. 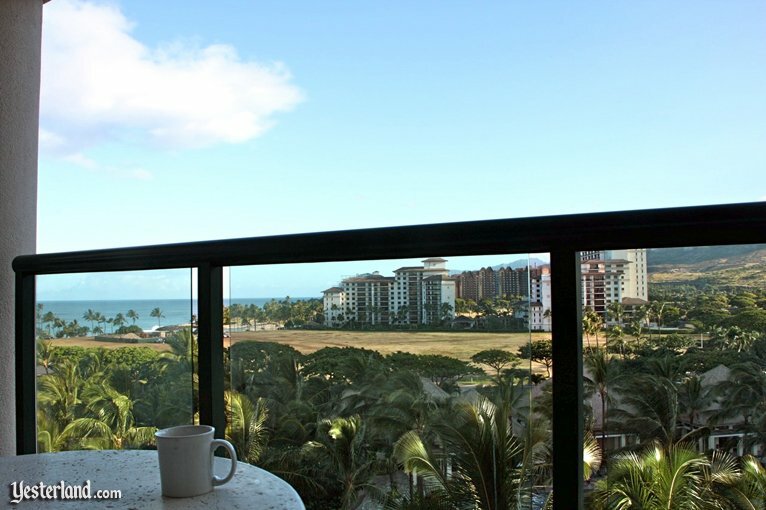 The three other resorts at Ko Olina (JW Marriott Ihilani deluxe hotel, Marriotts Ko Olina Beach Club timeshare resort, and the Beach Villas at Ko Olina condominium resort) are all modern, white or off-white buildings. 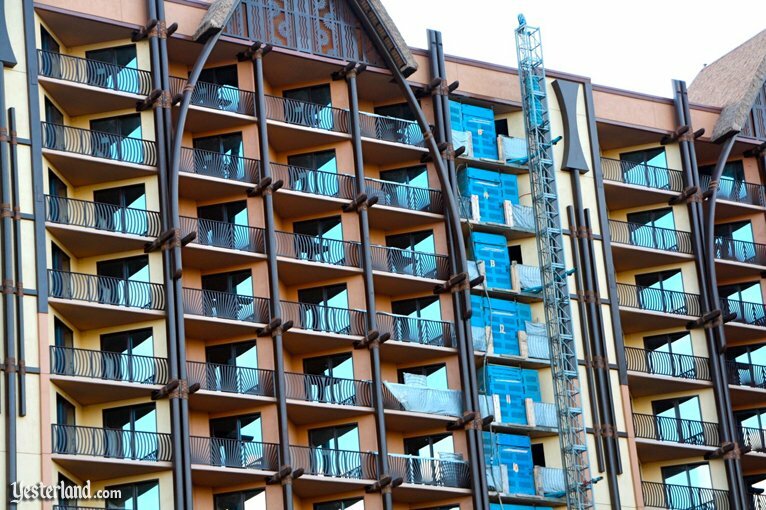 Aulani stands out. 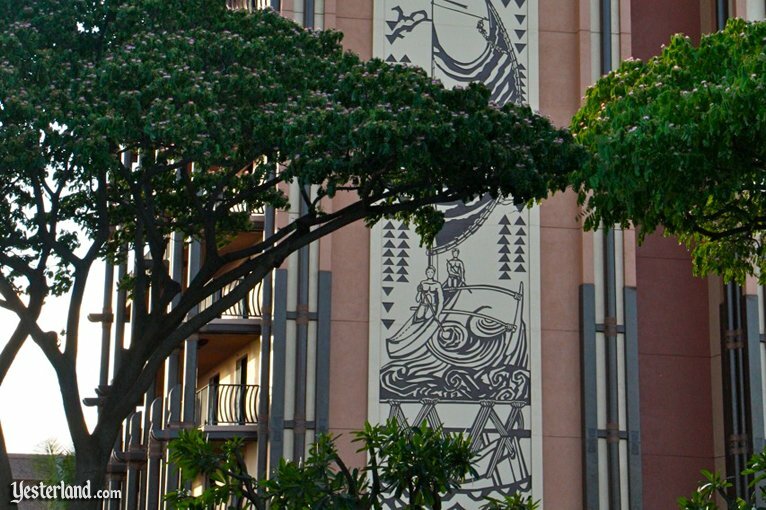 As I wrote in my first article about Aulani (before it was called Aulani), a traditional Hawaiian or Polynesian theme may not seem particularly unusual for a resort in Hawai‘i—but, surprisingly, it’s a theme that other lodging companies avoid (with very few exceptions). The building exterior is finished. 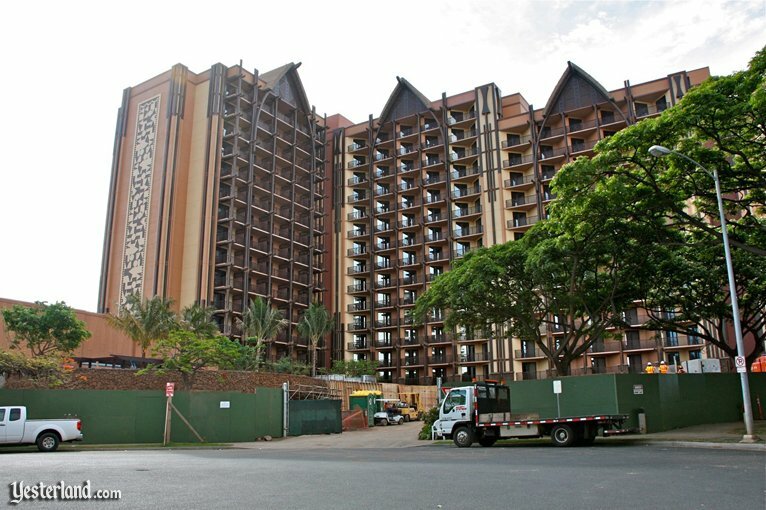 An exterior construction elevator is still in place, and some of the lanai railings are still covered. Aulanis neighbor to the north, the 387-room JW Marriott Ihilani Resort and Spa, completed an $18 million guestroom overhaul in early June 2011. 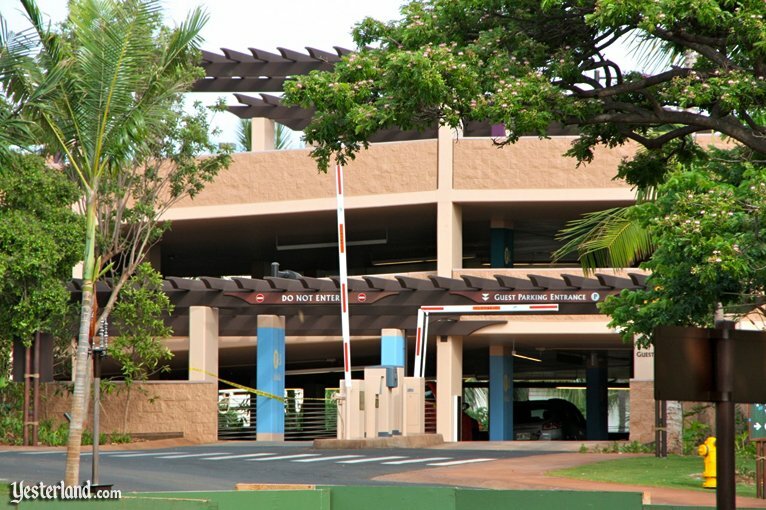 This is the final phase of renovation project that also included a major upgrade to the Ihilani Spa in 2010. 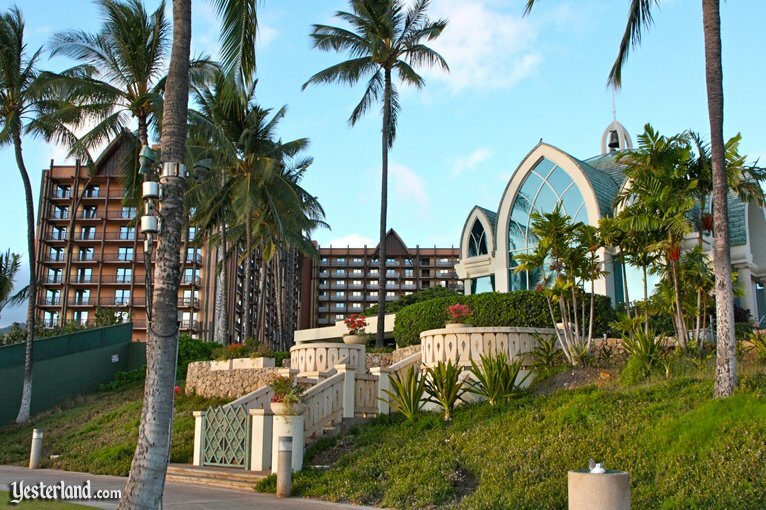 Aulanis neighbor to the south is the Ko Olina Chapel, one of three wedding chapels at the Ko Olina Resort. 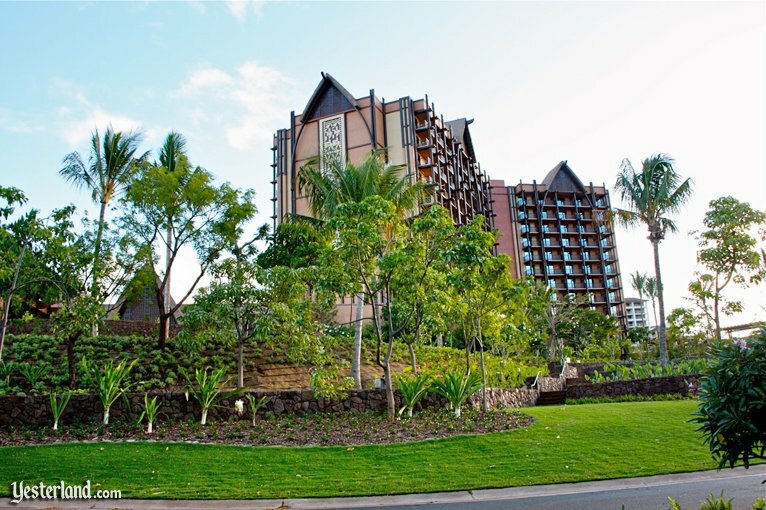 Aulani will offer Disneys Fairy Tale Weddings on a lawn overlooking Ko Olina Lagoon 1. 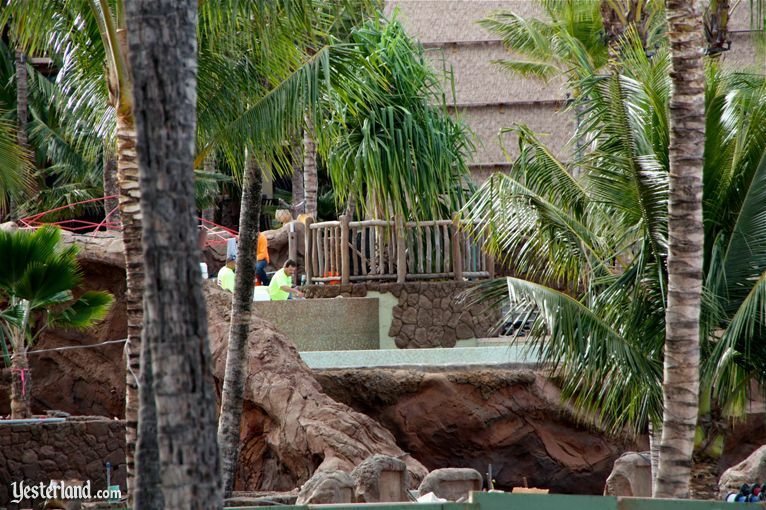 When it comes to landscaping, the mature shade trees along the edge of Aulani are particularly impressive. They dont look like newly planted trees. They look like theyve been there for decades. Thats because they have been. The parkway trees werent planted for the Disney resort. 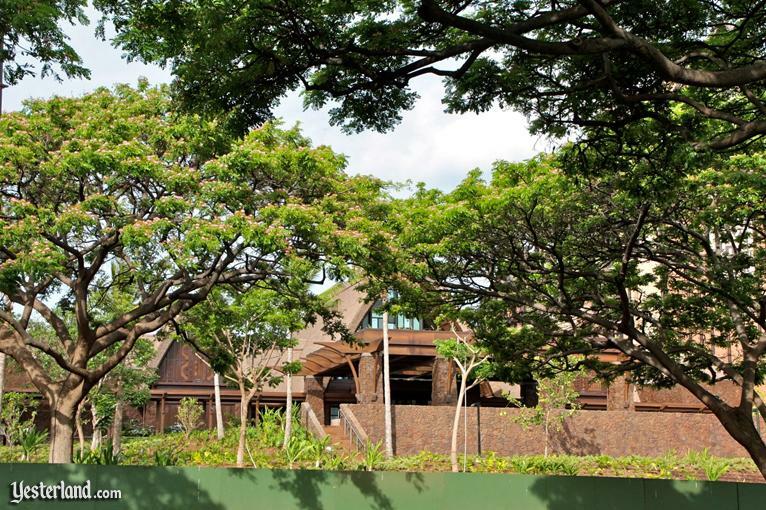 Trees line the streets throughout the Ko Olina Resort, providing shade for pedestrians and an attractive border between the streets and the resort sites—most of which are still undeveloped. 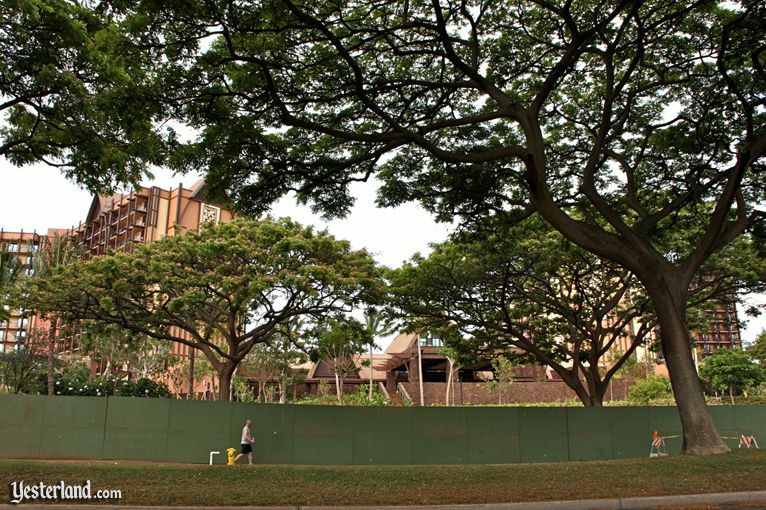 As the vacant building sites are eventually developed, Ko Olina Resort will become more like Ka‘anapali Beach on Maui. But it will never have the density of Waikiki. 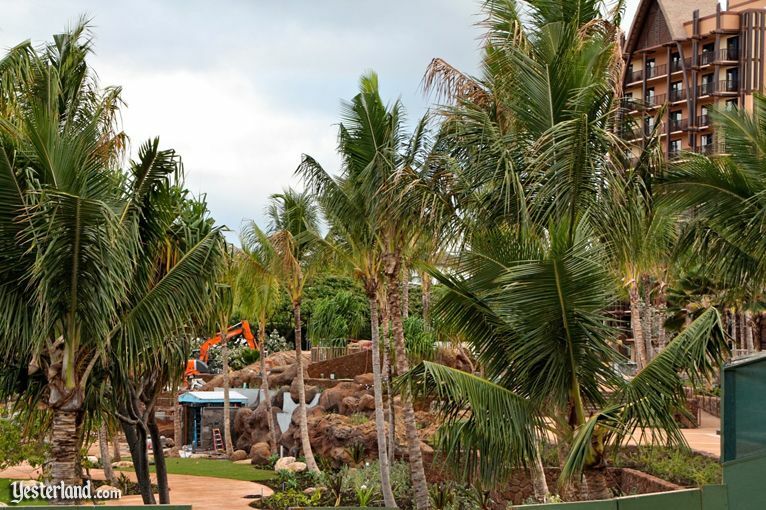 With additional resorts at Ko Olina, there will be new restaurants, shops, entertainment, and activities. From my perspective, thats a positive thing. All photos by Tango, June 2011. Thank you to Tango!